We are pleased to announce the appointment of Mr William Goldsmith as our new Head Master from 3 January 2019. Mr Goldsmith is currently the Headmaster of St Leonard’s Junior School at St Andrews in Fife. Previous teaching and management experience includes spells at both St Paul’s Cathedral School, London and at Ludgrove School in Wokingham – in both establishments he held the post of Director of Music – and at Highfield School in Liphook, Hampshire where he was Senior House Master and Head of Boarding. Our new Head Master’s early education was at Radley where he was a Music Scholar and Head Chorister, after which he read Music and History at Durham University. 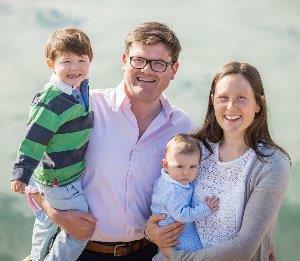 We are looking forward to welcoming our new Head Master and his family to the School and the wider St George’s College community.